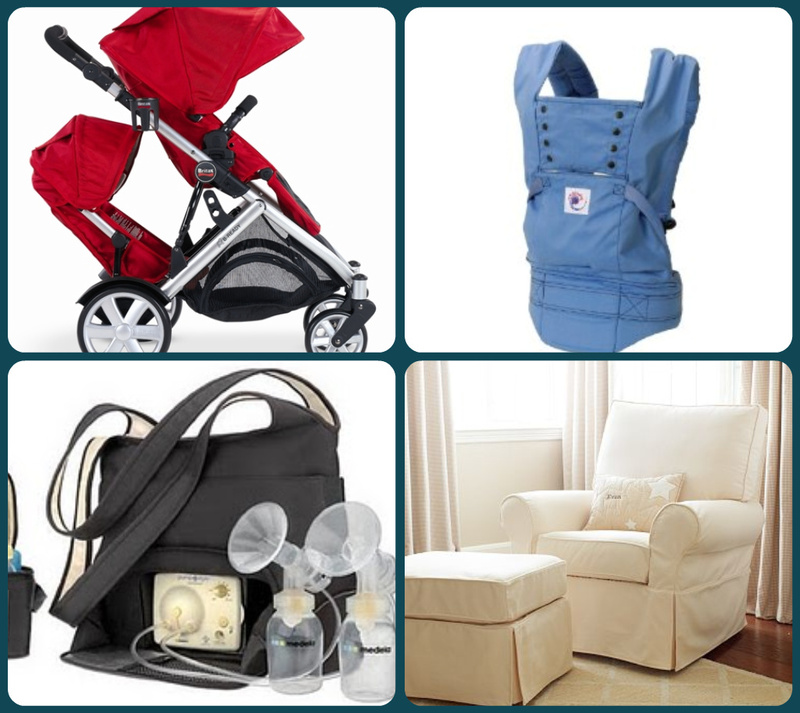 When I was pregnant with Oscar I knew I didn’t want to go crazy with the baby gear. I mean, how much can a little tiny person really need? I honestly didn’t buy too much and the items we did buy were searched and researched and many times purchased second-hand. And they have served me well. We were also gifted hand-me-downs from every direction so I actually got to try out many different items that I wouldn’t have otherwise. Now that we have a second baby on the way however, I see a few wrong turns that I took with Oscar that will end up costing us more in the long run. So if you are a first time mom who is planning to have more than one child, these are my suggestions for you to go ahead and make the splurge! Take em or leave em! A stroller that converts to a double – I got a BOB jogging stroller when I was pregnant with Oscar. I saved a lot by getting a used one on Craigslist, but it sadly does not convert to a double stroller. I really want something with a small footprint, so if I could go back in time, I would purchase a single stroller with the option of adding a second seat or car-seat attachment. That way when the time came for Baby U2, all I would need is that attachment. Instead, I find myself starting from scratch and wondering what to do with my Bob! A double breast pump – I have to admit, this is a gadget that I thought was a luxury for anyone who didn’t have to go back to work. I just couldn’t justify the expense as a stay-at-home mom to be able to pump both sides at once. However, now that I will be caring for a newborn AND a toddler, I am wondering how in the world I will be able to spend the time it takes to build a supply of milk by pumping one side at a time. Only time will tell. A quality nursing chair – Oh and I can’t stress this enough! I decided to get the ever popular Ikea Poang chair for the nursery because I always found it to be comfortable and I liked the clean lines. I didn’t see the point of a glider or arm chair other than aesthetics. However, healing from a c-section made it next to impossible to get in and out of my ikea chair as it is low to the ground. Also, the arms aren’t padded which I didn’t even consider until I spent many nights nursing a baby whose weight was grinding my skin and bones into the hard wood below. Do yourself a favor and get a good chair. A baby carrier – I didn’t test out too many different types of carriers, but I have to say, the Ergo baby carrier is just about the best thing since sliced bread. I had a Moby wrap and I will use it again, but once the baby got bigger, I really enjoyed having a buckle carrier. I actually used a Beco with Oscar, but found an Ergo Sport for a steal so I am super excited to try it out! Whether or not you are a “baby-wearing” advocate, having a (comfortable) carrier is truly an awesome way to get things done. I can only imagine how helpful it will be with 2 kids! Membership to a local museum – Now if this is your first child, you won’t need this right away. But a few months in you will definitely want a place that is indoors and child friendly! We spend a lot of time at our local kid’s museum and I know it will be our saving grace in the heat of the summer when we get stir-crazy. I can’t take credit for this splurge, however, as it has been gifted to us by family the past 2 years. Yay for family! Granted none of these things are “necessities” per say. But in my life, now that I have been there done that, they are worth the extra expense. What do you think? Are there any items you wished you would have just purchased from the get go? Next week, I’ll share 5 ways to save money on baby gear. Stay tuned! The Ergo Carrier is the BEST!!! I hesitated for a long time investing in it because of the price. I did not get it until my second baby was like 7 months old. Because he loved to be attached to me and no other carrier was working for us. When I got the Ergo Sport my biggest regret was not getting it for my first baby or earlier for the second. We still use it for the occasional outing for my now 19 month old and I still love it!! Completely agree with all your necessities. #1 Wish I had that. Yes, #2 is AWESOME! I got it for baby #1 since I had to go back to work part-time. When baby #2 came along, it was wonderful to have. Yes, it does save a lot of time; so you can care for two darling little ones. My worth-every-penny item was the baby swing. Did it take up an ungodly amount of living room space? Yes. Was it strictly necessary? No. Did it help my colicky baby sleep during the day and keep mama from going completely insane? Yes, yes, yes. I didn’t have a rocking chair at all for Claire, but I have a nice glider and ottoman now and use it daily for Charlotte. Luxury? Yes. Necessary? No. Used Baby Bjorn and Ultimate Baby Wrap for Claire. Charlotte screams unless being held at all times (seriously) so I just ordered an Ergo this week. Cannot WAIT for it to arrive! Madela breast pump was a MUST for me last time since I returned to FT work after 9 weeks with Claire. This time it’s not clear when I’ll go back to work but I did have to use it the first week of Charlotte’s life to get my milk to come in since she was premie and losing weight! So glad I have it! Plus it will make date night possible – a sitter can bottle feed her! MUST. I wish I had a double stroller. Guess I’m in the same boat as you. Will have to Craigslist my old ones and get a new one!